There are many brands of paneer available in a supermarket. However for certain recipes I prefer to make the paneer myself. 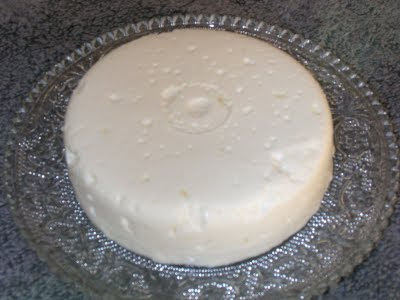 Home-made paneer is any day fresher, softer, richer and preservative free. Take out the juice of the lemon carefully removing the seeds. The seeds will taste very bitter if they find their way into the paneer by mistake. Boil the milk and take off the fire. Add lemon juice. Return to low heat, stir continuously till all the milk curdles and the whey separates. Remove from fire. Leave it covered for 15 minutes. Strain through a muslin cloth and squeeze out all the whey. For recipes that requires grated paneer it can be used at this stage. If cubes of paneer are required, keep the paneer which is wrapped in the muslin cloth in a box. The paneer will take its shape. To get compact brick of paneer, place a heavy weight on the paneer for an hour. Remove the cloth and use perfect home made paneer. The whey which is collected is high in protein content. It can be used for cooking vegetables and curries. Tastes yummier! I promise you. 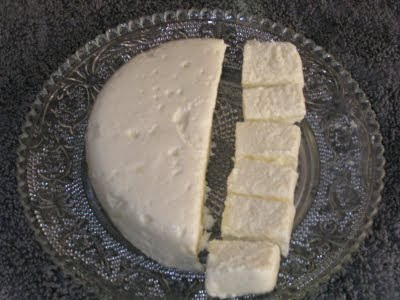 Curd can also be used to make paneer. This gives more volume of paneer and also its very soft. I usually make paneer by using curd. Just a suggestion. I think what you mean is "hung curd". Paneer is made from milk. Hung curd is used for quite a few dishes like shrikhand. No not hung curd..i use normal curd with water content to curdle the milk..due to this paneer quantity increases and its very soft. O ok now I got what you meant. I havent tried that. I should make this soon. Would this work with goat's milk? It would work with any milk. In fact if you use the same procedure with Soya milk, you will get Tofu. I have tried that also. Oh my! This is too much fun! From preserving baked beans, to making my own homemade paneer! I can hardly wait to make this tomorrow. Thank you all, for all the great info!